It is absolutely essential for local residents and others to attend so that the judges can see the extent of support for the conservation area. Please meet up outside by 9.45 am on Thursday 11 November 2010; and, if necessary, please also attend on Friday 12 November. We cannot say or do anything in the High Court but we can at least try to present our petition asking Trillium to allow the former POPLAR EMPLOYMENT EXCHANGE to be retained and adapted as a training and social enterprise centre for unemployed people, called the Lansbury Centre. Sitting on your terrace, enjoying breakfast and watching the boats pass by your balcony as the sunlight catches the water, it can be easy to forget that you're living in the heart of London......!! Trillium also appealed to the Planning Inspectorate with respect to both refusals and it has just been announced that there will be a full public inquiry after the judicial review and possibly in February 2011. Of course, should the Council lose in the High Court, one of the main reasons for refusal would be removed. A third planning application would be likely, and the Council might prefer to grant planning permission for the demolition and replacement of the former POPLAR EMPLOYMENT EXCHANGE, rather than risk having to bear all the costs of a full public inquiry. British Waterways is currently seeking a commercial operator to run a boat service from a new moorings at Limehouse Basin, along the Limehouse Cut and up the River Lea to a floating pontoon at Three Mills and on to a terminus below Old Ford Locks for the Olympic Park. BW and its partners London Thames Gateway Development Corporation and the Olympic Delivery Authority would like the service to start before the 2012 Olympics. The route may be seen below and a large version here. The LTGDC-funded pontoon at Three Mills is at our proposed waterbus stop no. 11 and the BW-funded terminus is at our proposed waterbus stop no. 9. This is very good news as it could be the start of EAST END WATERWAYS. However, we hope that the operator’s boats will have hybrid engines (diesel and electric) to minimise pollution of the Borough’s ‘green’ waterways; and that their boats will stop at our intermediate waterbus stops on the Limehouse Cut and River Lea (nos. 15, 14, 13, 12 and 10) for the benefit of local residents and others. If not during the Olympics, then before and after. We also hope that the commercial operator will employ local residents, especially as the service develops into our proposed two-way waterbus service and there is a need for more waterbus staff, lock keepers and maintenance staff. In particular, for the overnight recharging of batteries. Obviously, a large overnight mooring basin will be needed for the waterbus fleet and the good news is that such a facility could be incorporated at the ODA’s proposed marina on the Hackney Cut in Fish Island East (in LBTH between waterbus stops nos. 8 and 9) and/or at the proposed basin on the Limehouse Cut in Cotall Street / Bartlett Park (just east of waterbus stop no. 14). Also staff training facilities at the overnight mooring basin and at the proposed Lansbury Centre 307 Burdett Road (other side of A1205 from waterbus stop no. 15). As an alternative to cars and overcrowded buses, we would all benefit from a new public transport system going round the Regent’s Canal, Hertford Union Canal, Hackney Cut, River Lea, Limehouse Cut and Limehouse Basin. Called East End Waterways, this would be a commercially operated regular two-way, eco-friendly waterbus service; with stops at bridges for local residents, workers, students and tourists. Obviously, the historic buildings, structures and habitats must be protected and enhanced where necessary. Fortunately, Tower Hamlets Council has good green and blue grid policies and about three-quarters of the ‘ring’ is now in conservation areas. Limehouse Basin is in its own conservation area and most of the Hertford Union Canal is in the Victoria Park CA. The Council has recently designated the Fish Island CA (near Hackney Cut and on the west bank of the River Lea), Limehouse Cut CA and Regent’s Canal CA. 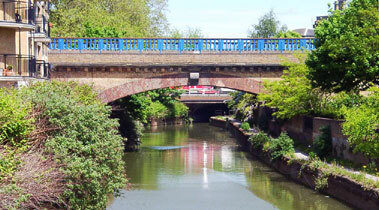 The Limehouse Cut opened in 1770 and is London’s first canal. On the advice of English Heritage, the new CA includes the former Poplar Employment Exchange at 307 Burdett Road. The site for this was acquired and the Neo-Georgian building was designed when George Lansbury MP was the First Commissioner of Works in the 1929-31 Labour government. 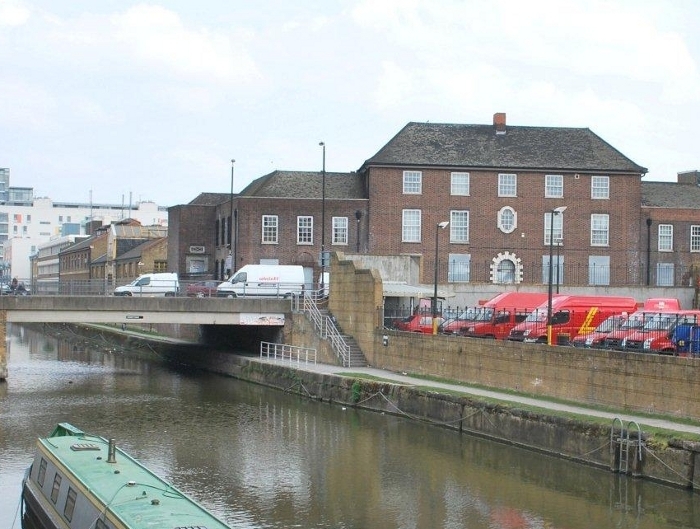 Clearly this historic building makes a positive contribution to the character and appearance of the Limehouse Cut CA. 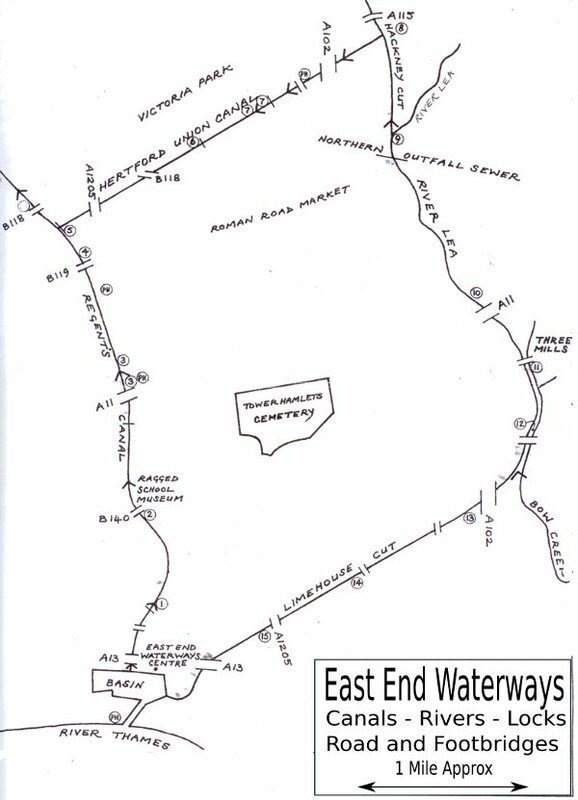 See latest East End Waterway Group news here.